In ayurveda, Tulsi is said to be a boon for health. Its roots and seeds are used to treat different diseases. Nutrients such as antioxidants present in Tulsi protect against many health problems. Put three or four basil leaves and put in a glass of water. Filter this water in the morning and drink it. People who suffer from cold will get benefit from drinking boiling water. Basil Tea: It reduces the effect of fever, malaria and dengue. Basil Milk: Tulsi’s milk is extremely beneficial in protecting against cold-cough and stomach problems. Thos who do not sleep at night, they also get benefit from drinking it. Basil Juice: Its juice is prepared by grinding basil leaves. Drinking it cures the problems of cough. Tulsi water contains anti-inflammatory properties. This avoids joint pain. 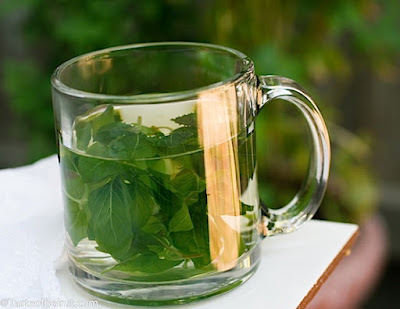 Tulsi water removes toxins from the body. This protects from kidney and liver problem. Tulsi water balances acid level in the body. It protects from stomach problem such as acidity. The consumption of Tulsi water controls blood sugar level. This avoids diabetes. Tulsi water contains phytochemicals that avoids cancer.